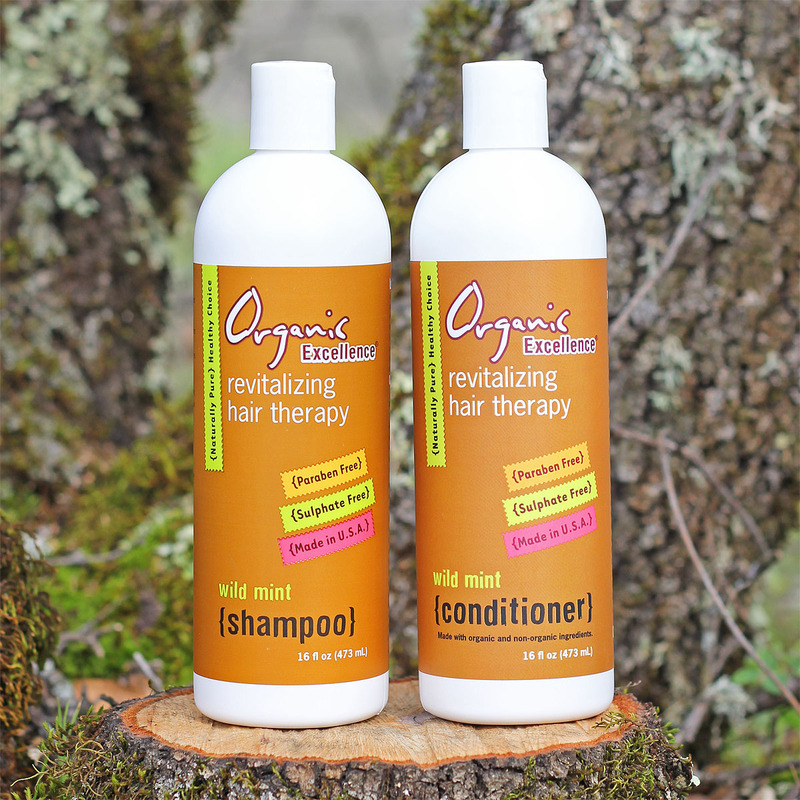 Save money when you purchase Organic Excellence's outstanding all-natural shampoo and conditioner together! Both formulas are truly chemical free, with absolutely no harsh man-made ingredients like sodium lauryl/laureth sulfate (SLS). Conditioner Ingredients: Aqua/Water/Eau, Organic Aloe Barbadensis (Aloe Vera) Gel, Organic Olea Europaea (Olive) Oil, Organic Zingiber Officinale (Ginger) Root Extract, Organic Rosmarinus Officinalis (Rosemary) Extract, Vegetable Glycerin, Allantoin, Organic Oleo Europaea (Olive) Leaf Extract, Chamomile Extract, Organic Mentha Viridis (Spearmint) Leaf Oil, Organic Vitus Vinifera (Grape) Seed Extract, Panthenol (Vitamin B5), Vitamin E (Tocopherol). Organic Excellence Wild Mint Shampoo is specially formulated with select ingredients to add moisture & body to your hair. 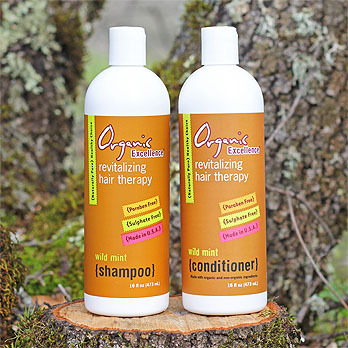 Rich in certified organic herbs, it helps maintain a healthy pH balance, prevent hair loss and stimulate new growth. It's effective at relieving a dry, itchy scalp and brings great results to all hair types. Safe for colored hair too. 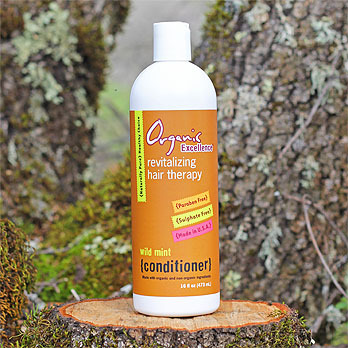 Organic Excellence Wild Mint Conditioner moisturizes without coating your hair, building up, or creating a heavy feeling. 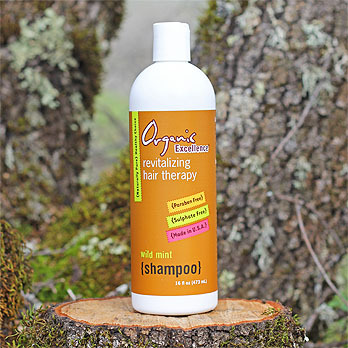 Special ingredients help prevent split ends while calming frizz & static electricity. Certified organic herbs help slow hair loss and stimulate new growth. For manageability, deep conditioning, luxurious body, and a beautiful shine - nothing compares to truly natural conditioner. Ideal for all hair types. 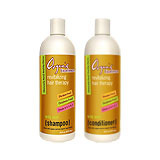 It's my belief that no topical product can permanently cure your dandruff or seborrheic dermatitis, but Organic Excellence shampoo and conditioner should definitely help with the symptoms. 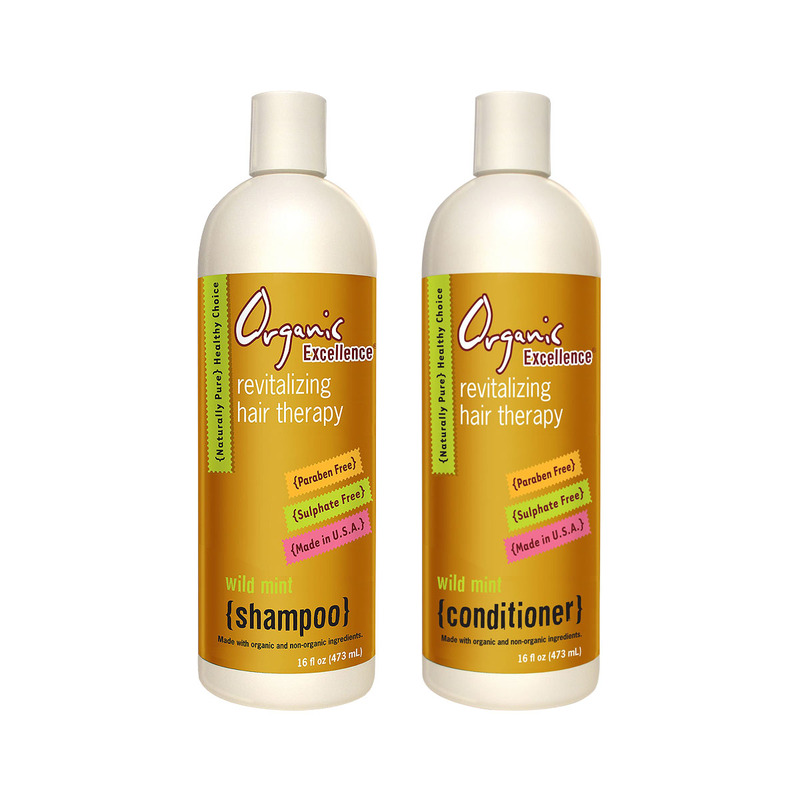 Both products contain mildly therapeutic oils & herbal extracts that help keep your scalp and hair healthy. Do you recommend the Organic Excellence shampoo, or the 100% Pure shampoo for my dandruff/seborrheic dermatitis? Is the shampoo/conditioner safe for color treated hair? Yes, both products work great with color treated hair. Is the shampoo/conditioner vegan friendly? Yes, all ingredients are plant derived and there is no absolutely no animal testing. Since the shampoo doesn't use sodium lauryl/laureth sulfate, does it lather? Sodium lauryl/laureth are harsh, toxic sudsing agents. Organic Excellence's special combination of ingredients do create a slight, smooth lather, however not like what is produced by this commonly used chemical. Does the conditioner cause that "heavy hair" feeling that so many others do? No, and OE customers frequently comment on that fact. They love how the Wild Mint Conditioner moisturizes and adds body without building up. 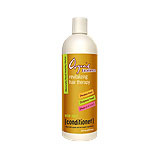 Do Organic Excellence hair care products protect against UV rays? Yes. Each of the OE hair care products contains ingredients to protect your hair from pollution and other environmental factors, and from the harsh effects of ultra-violet rays. Potassium Lactate (the potassium salt of lactic acid) is created when lactic acid is neutralized with potassium. Lactic acid is a natural acid produced by bacterial fermentation of food (in this case starch and/or sugar).